Salt, a naturally occurring and necessary crystalline mineral, is a very essential part of life. The sodium chloride combination is such a necessary part of life that our tongues are designed to pick up the taste of only 5 tastes. Salt goes beyond simple food seasoning. The many uses of salt include de-icing roads, water conditioning, and of course, a coarse exfoliating agent for our skin. 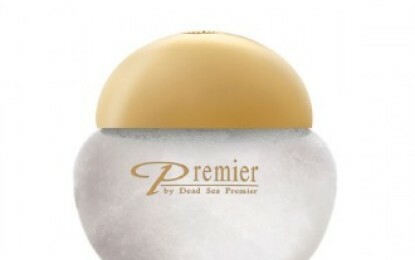 Premier Dead Sea produces Dead Sea Aromatic Salt Scrub straight from the beauty of Israel, the Dead Sea. Water found in the Dead Sea is around 35% salinity to even the ocean’s 3%. The salt of the Dead Sea is one of its key distinguishing factors of the natural phenomenon. As such, it is the basis for Dead Sea Premier’s Salt Scrub. This natural Dead Sea salt crystals, absorbed into a mixture of carefully selected aromatic oils, enrich your skin with vital minerals from the Dead Sea. The aromatic oils give your skin moisture, nourishment, and a silky feeling. The salt crystals also work as a cleansing agent as bacteria perishes in a hyper saline environment. Another important fact of using the Salt Scrub is that it evens the skin’s appearance by exfoliating off the dead skin cells from the body. Salt crystals are coarse enough to resurface the skin without rubbing it raw. To apply, massage your body gently with a sufficient amount, (you may use a towel glove), rinse with warm water. Moderate pressure may be used and after about 5 minutes of exfoliating, upon a warm water cleanse the skin is truly left feeling completely revived into its original silky state. The Premier Dead Sea Aromatic Salt Scrub is one of the best values in the Premier skin care line and is a great item to use in combination with the Aromatic Body Butter. Dead Sea Premier – Go mad for mud!